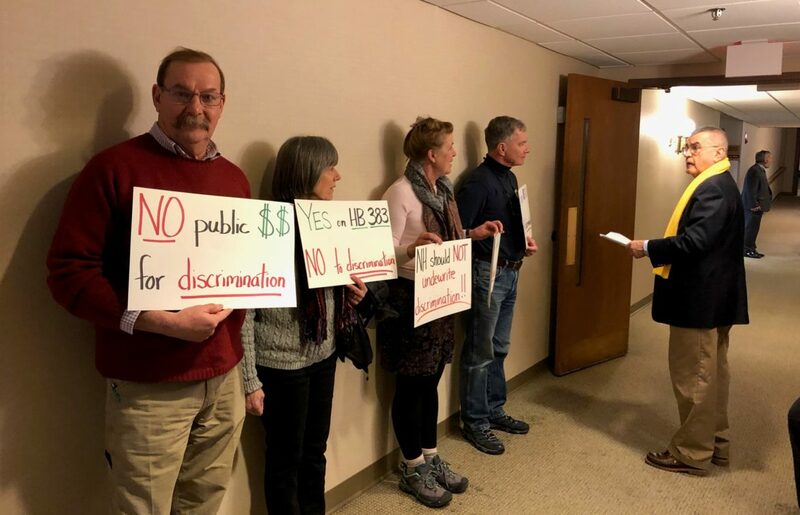 Supporters of House Bill 383 line the hall outside a hearing room at the Legislative Office Building in Concord on Wednesday. 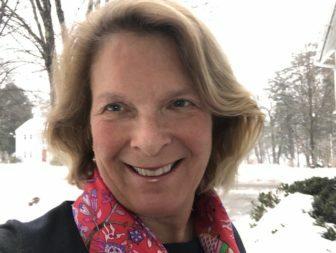 IHoP-NH is Paula Tracy’s new video column In the Hallways of Power-NH that features you – the people of New Hampshire who show up at public hearings and track down lawmakers in the hallways to make your voices heard in Concord. 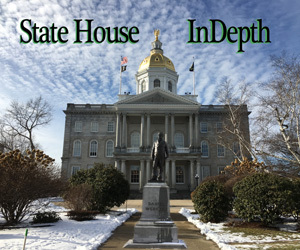 It’s part of InDepthNH.org‘s expanded news coverage during the State House’s Bicentennial Celebration. CONCORD – Ever wonder who those everyday people are who show up at legislative hearings to testify or just to see how their government works? They aren’t lawmakers or lobbyists and some have taken the day off from work and driven many, many miles just to savor democracy. Sometimes they arrive quietly to take in the legislative process. Other times they carry a bullhorn and head for the State House steps, hell-bent on making their voices heard. As a reporter, I might have just rushed by in the past, always meaning to stop and ask their opinion, their reasons for showing up at the Legislative Office Building or across the street at the State House, but never finding the time. Now, I have that chance with InDepthNH.org, the nonprofit online news outlet that holds government accountable and gives voice to marginalized people, places and ideas. Our new short video series focuses on you. It’s called IHoP-NH, which stands for In the Hallways of Power-NH and will be a regular feature as part of our expanded State House reporting. We’ll post brief videos of citizens who introduce themselves and tell us what brought them from Walpole, Washington, Westmoreland or where ever, to participate in their government. I have often felt that the real stories at the State House are the citizens themselves. Why do they leave their work and homes, get dressed up, write testimony and have the courage to speak at hearings, hold signs, chant or just show up and listen? Why do they come to Concord? What change do they hope to see? They are rarely the center of the news story and I want to turn that around. Now’s the time for you to tell your story. After a few years away from the news reporting business, I’m excited to return. I love the idea of starting IHoP-NH because New Hampshire people always have great stories to tell. They provide the human face to legislation and can explain the impact the government has on all of our daily lives. Hope to see you soon as I’m roaming In the Hallways of Power-NH at the Legislative Office Building at 33 North State St. and across the street at New Hampshire’s State House. Make your own history if you’ve never been before. Come on by. It’s free and everyone is welcome. And tell us why you enjoy wandering In the Hallways of Power-NH.